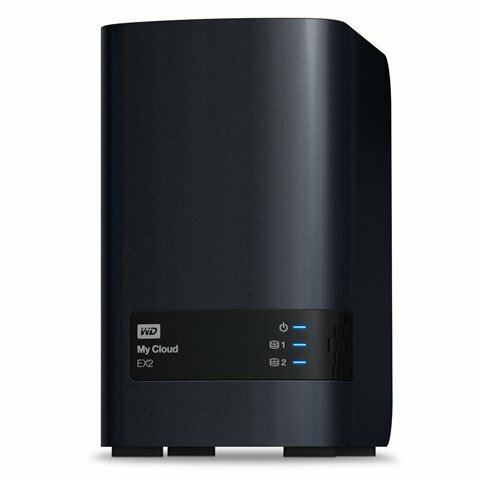 WD, a Western Digital (NASDAQ: WDC) company and a world leader in connected storage solutions, has recently made available its latest prosumer personal cloud solutions in the Philippines – the My Cloud EX2, a high-performance two-bay network attached storage (NAS) system. The My Cloud EX2 and My Cloud EX4 products are designed from the ground up for creative professionals and prosumers that need to reliably save, share, back up, stream and manage large amounts of digital data. 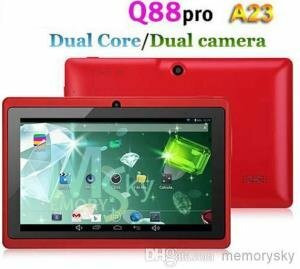 Check out the rest of its features, specifications and price below. Several data management and security features allow customers to select their preferred methods for managing and protecting their movies, photos, music and digital files. Drive management options include RAID 0, RAID 1; JBOD and spanning modes, while data protection options include RAID 1, USB, cloud or LAN/WAN backup. The My Cloud EX2 comes preconfigured in RAID 1 mode to protect data right from the start and is easily configurable into other data protection modes. Customers can use their My Cloud EX2 to centralize and back up all of their computers and notebooks with WD SmartWare Pro software for PC users, and with the Apple Time Machine backup software for Mac users. 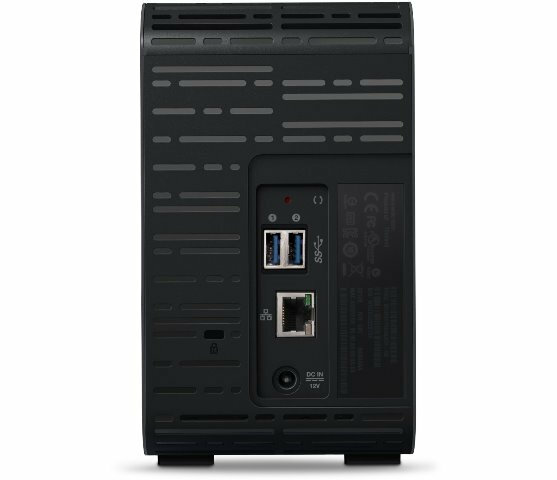 My Cloud EX2 provides several capacity options for customers to choose from, including a diskless enclosure allowing users to build their own NAS with the drives of their choice, as well as populated systems in 4TB, 6TB or 8TB capacities1. Additionally, customers can attach compatible USB 3.0 hard drives to the USB expansion ports on the My Cloud EX2 to instantly expand their storage capacity. 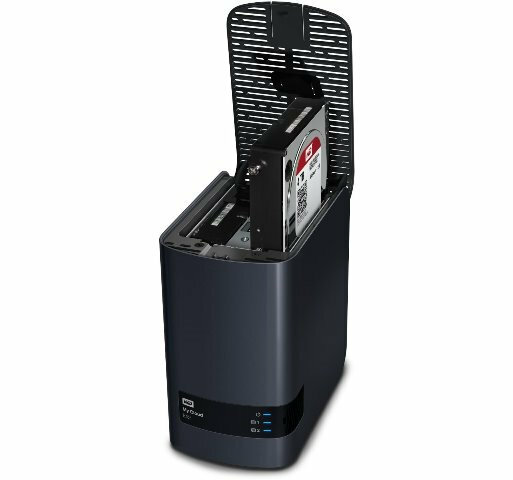 The populated My Cloud EX2 features WD Red hard drives for ultimate reliability in the unique 24×7 NAS operating environment. WD Red drives are powered by NASware 2.0 technology, improving drive reliability and protecting customer data in the event of a power loss or disruption. The award-winning WD My Cloud™ mobile and desktop app provides anytime, anywhere access to the entire My Cloud product family. WD My Cloud mobile app users can easily view photos, stream video and share, save and manage files from anywhere on their iOS and Android devices. The mobile app makes file sharing and collaborating simple, allowing customers to easily email files, share files as a link, and print and open files with third party apps. The WD My Cloud mobile app integrates major public cloud services so that customers can easily transfer files from their Dropbox, SkyDrive and Google Drive public cloud accounts . With the WD My Cloud desktop app, navigating, controlling and sharing digital files from anywhere in the world is simple and intuitive. The My Cloud EX2 includes advanced data serving options including an integrated file server, FTP server, backup server and a P2P download server. Additionally, users can download and run a host of third party apps, including aMule, Icecast, Joomla, phpBB, phpMyAdmin, Transmission, SqueezeCenter, and more. Users can also stream videos and photos to connected TVs, media players, gaming consoles and other DLNA/UPnP devices with the included Twonky 7.2 server, DLNA-certified 1.5 media server, and built-in iTunes® server. My Cloud EX2 is compatible with Windows 8, Windows 7, Windows Vista, Windows XP, OS X Mavericks, Mountain Lion, Lion, Snow Leopard, as well as DLNA/UPnP enabled devices. 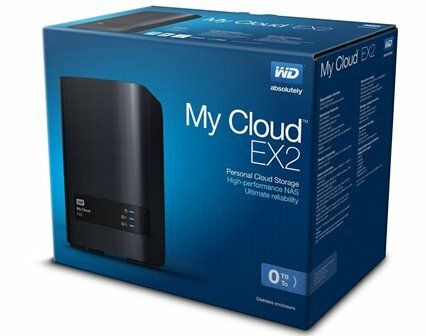 The WD My Cloud EX2 is now avialable in the Philippines. It has a manufacturer’s suggested retail price of Php10,990.00 for the diskless My Cloud EX2, Php17, 990.00 for 4 TB, Php22,990.00 for 6 TB and Php28,990 for 8 TB. The WD My Cloud mobile app currently is available for download for free from the App StoreSM and Google PlayTM. My Cloud EX2 comes with a two year limited warranty.